New for 2017, our Replacement Sliding Patio Doors are now available with the option of integrated mini blinds. The combination of style and long-lasting performance creates the perfect alliance, providing you with convenient sunlight and privacy control, keeping you and your family protected all year-round. 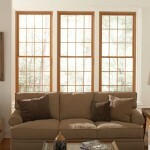 Also, available in a wide variety of color options making it easy to find the perfect look for your home. We also offer a range of replacement door options, which can enhance the look and feel of your home by infusing a warm and welcoming vibe. 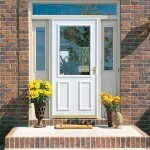 Our replacement door options include Fiberglass Entry, Sliding Patio, French Style, Garage Doors and Storm Doors.